It is an undeniable fact that the absence of safe toilet adds to the vulnerability of women. A man can unzip anywhere without fear and shame. It is the women, who lack access to private toilets and have to wake up before sunrise or wait for the sky to get dark and walk miles to find the right and safe place to defecate. If not a human issue, toilets certainly are a women’s issue. After the birth of my daughter, I moved back to India to provide clean toilets so that no daughter, no mother or sister ever has to lose her dignity just in relieve herself. Join me in protecting dignity of 1 daughter at a time. You only have few days to become part of our journey and to create enormous impact in the lives of 1000 Girls. Imagine being a mother of a bubbly 12 year old girl in a house, the size of 2 dining tables, in an urban slum. You don't have a toilet not just because of a financial crunch, but also because of a space crunch. 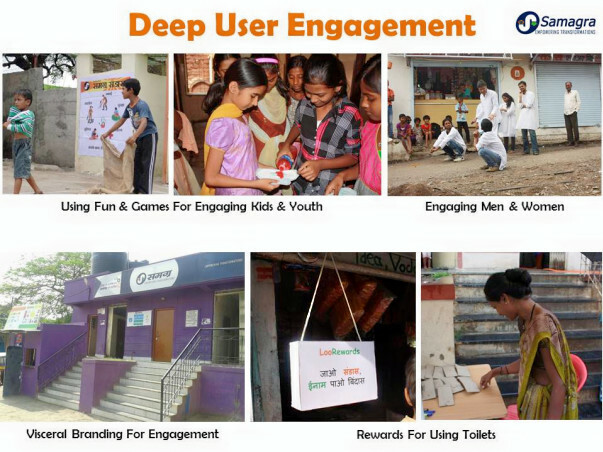 In dense Urban slums, in-home toilet is rarely an option. So Community toilets are an appropriate sanitation solution. But many urban slums do not have community toilets and even if community toilets are present, they are FILTHY and unused as not properly maintained. At dinner you eat little and drink less to reduce the pressure of the basic call of nature, because you know that it might be too difficult to find a clean toilet and too dangerous to find a safe place amidst the evil forces of night; when men shine torch on women defecating, or hide behind the adjacent bush to peep and pelt stones to tease. Moreover, you also ask your daughter not to take more than a few sips of water else she would have to step out of the house at night, And you know it's not going to be safe. You get up early in the morning, walk a mile (or two or three) to find a spot away from the normal gaze and finally relieve. And this continues. Day-after-day-after-day until eternity. Holding your pee and poo leads to severe health complications like UTIs (Urinary Tract Infections). 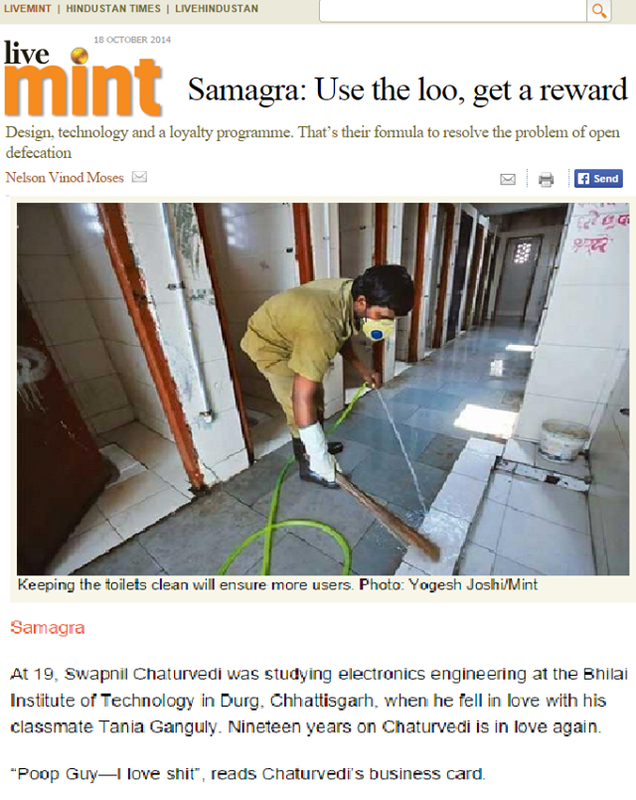 Samagra brings you its award-winning Toilet Design and Operation Model called "LooRewards" through which we provide clean, hygienic and safe toilet access 24 hours a day, 7 days a week to 1 girl child for a ONE TIME INVESTMENT just $20 or INR 1000 investment. 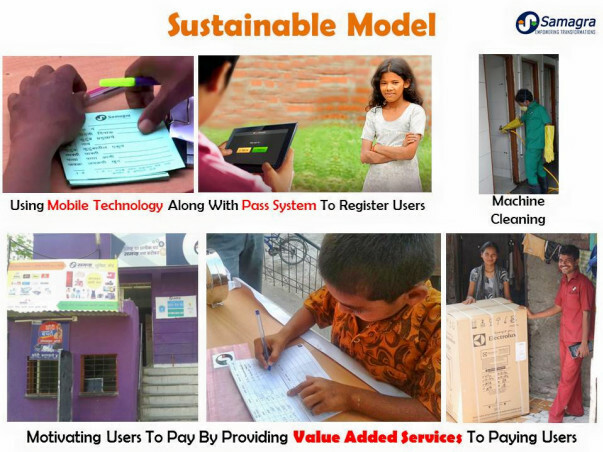 Our Model ensures the financial sustainability of community toilets once the INITIAL STARTUP INVESTMENT is secured. That is why we are raising funds for providing clean toilets to 1000 girls (and their families) for life. 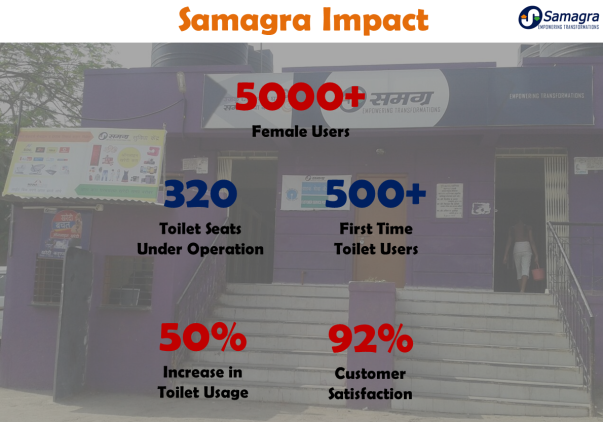 Samagra makes toilets "Accessible", "Affordable" and "Aspirational" for the Urban Poor through an innovative Model. Thus, You can be assured that your ONE TIME investment is used for provision of sanitation services to these girls for ever. Never before has it been this easy to empower girls living in the developing world. 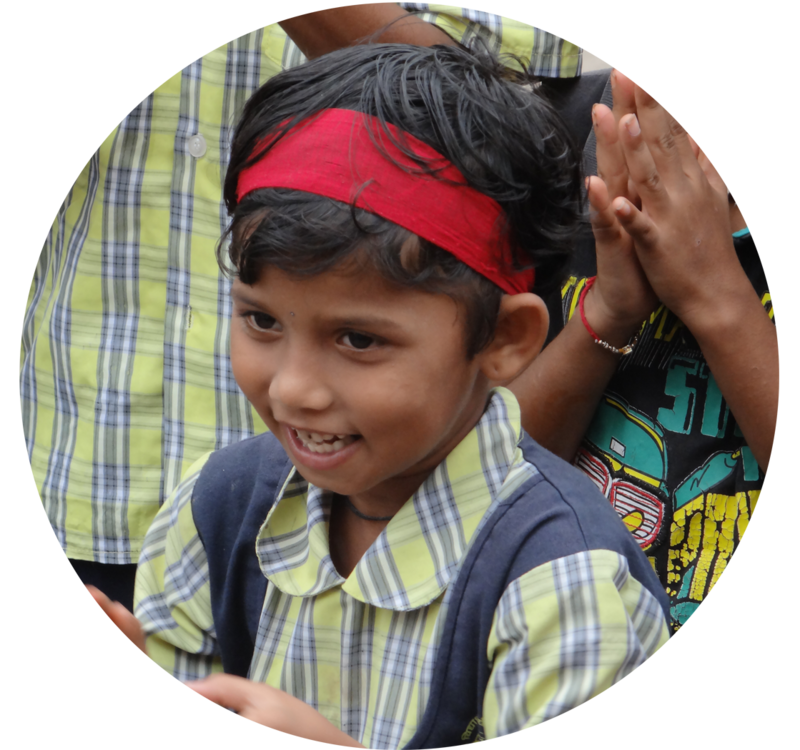 We engage girls through visceral campaigns and workshops. We toil for transformational toilets so that you know your money is hard at work in providing safe access to girls in Urban Slums of India. We provide awesome cleaning services to existing community toilets so that girls can use them without hesitation. 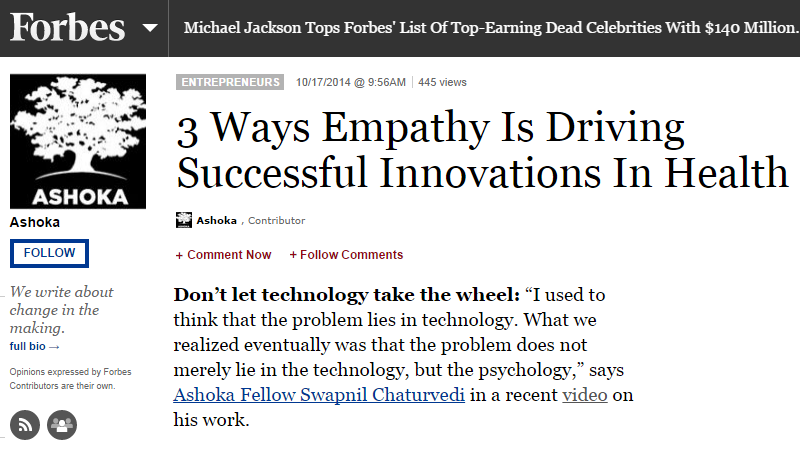 Your investment is guaranteed to create impact which will be communicated to you regularly through our newsletters. 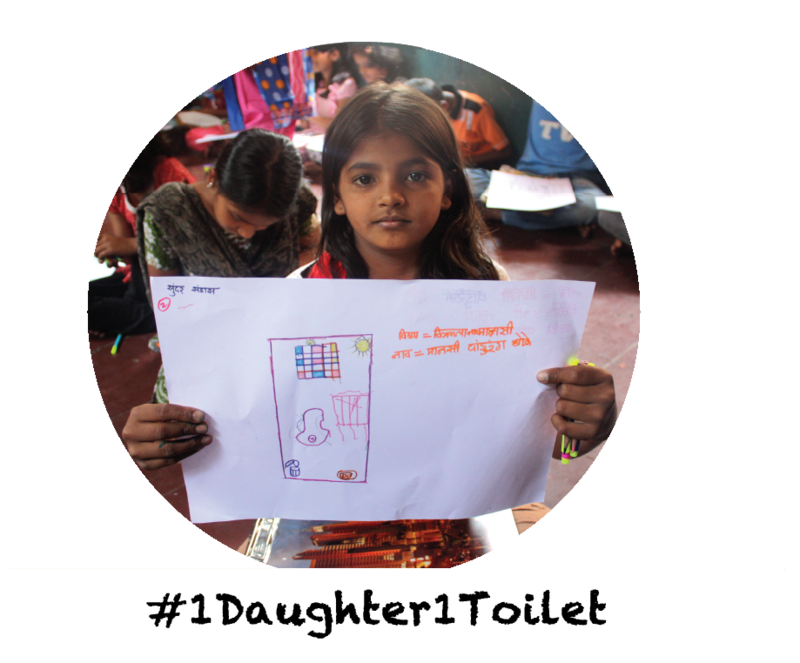 You can be sure that every penny you invest in us will go towards making toilets accessible to the girls (and their families). 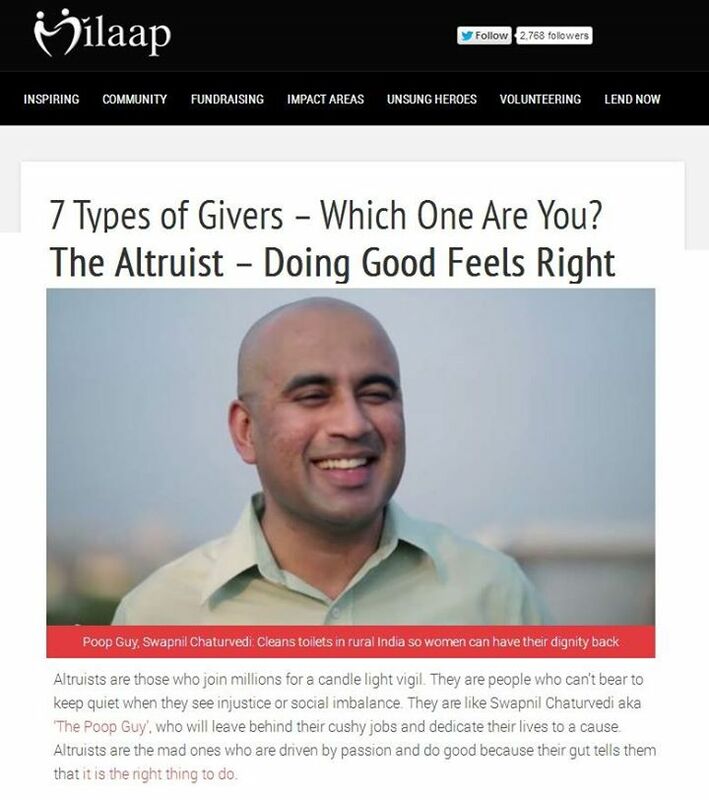 As soon as you donate, you get listed in our database and receive personal email from me "The Poop-Guy". When we start utilizing your fund, you will get a map of service location and "before-after" photos. 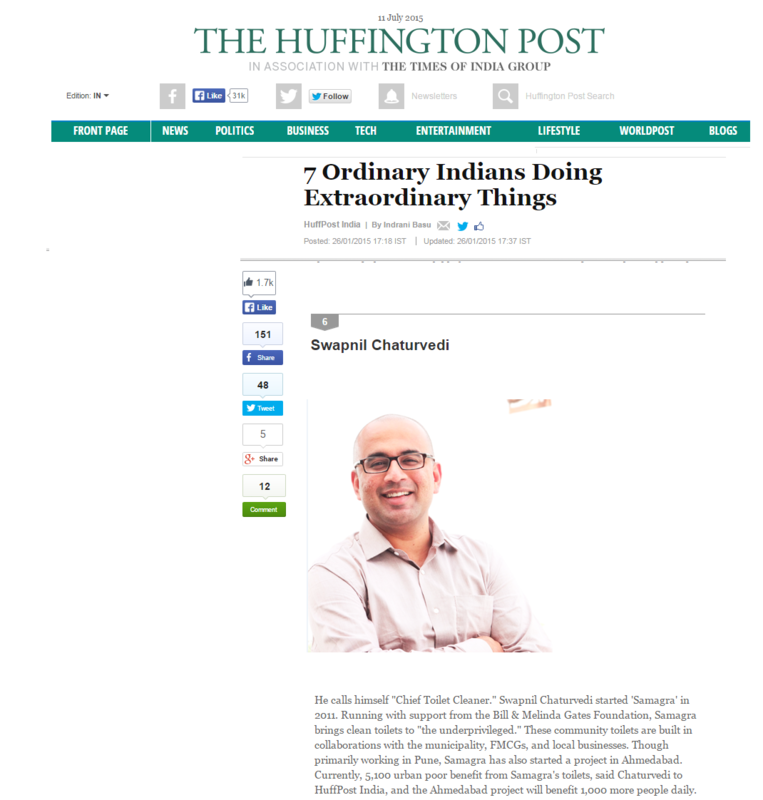 LET's TRANSFORM LIVES TOGETHER ! This would mean that over 200,000 users will have access to our awesome services. Over the past few months, Samagra Sanitation has managed to build toilets in surrounding villages. 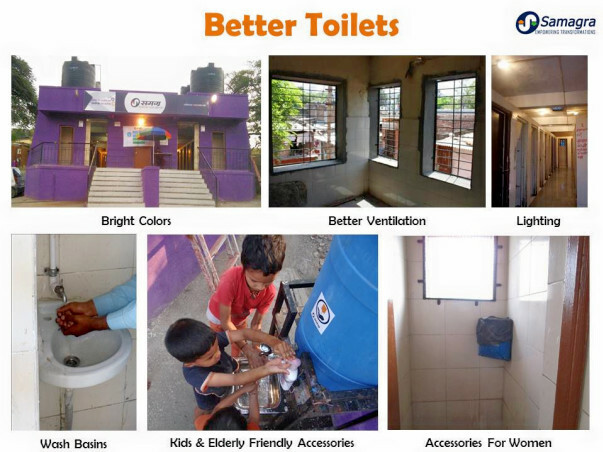 They plan to build toilets in 150 locations this year, mostly in and around Pune slums. 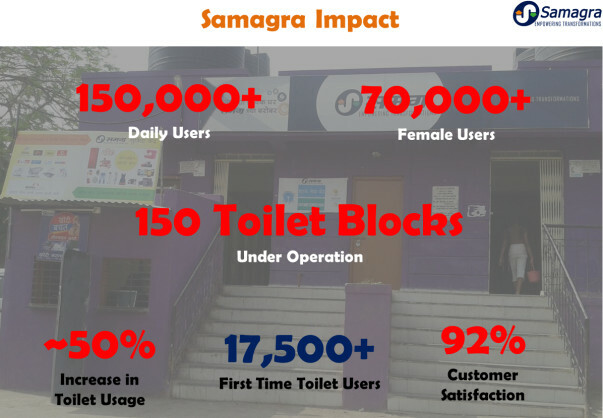 Currently, there are 100,000 daily users of the toilets built by Samagra Sanitation. They plan to bring that number to 250,000 daily users by the end of this year. The team at Samagra will keep you updated on their progress. They’ve conveyed their heartfelt gratitude for all the support you’ve given them. 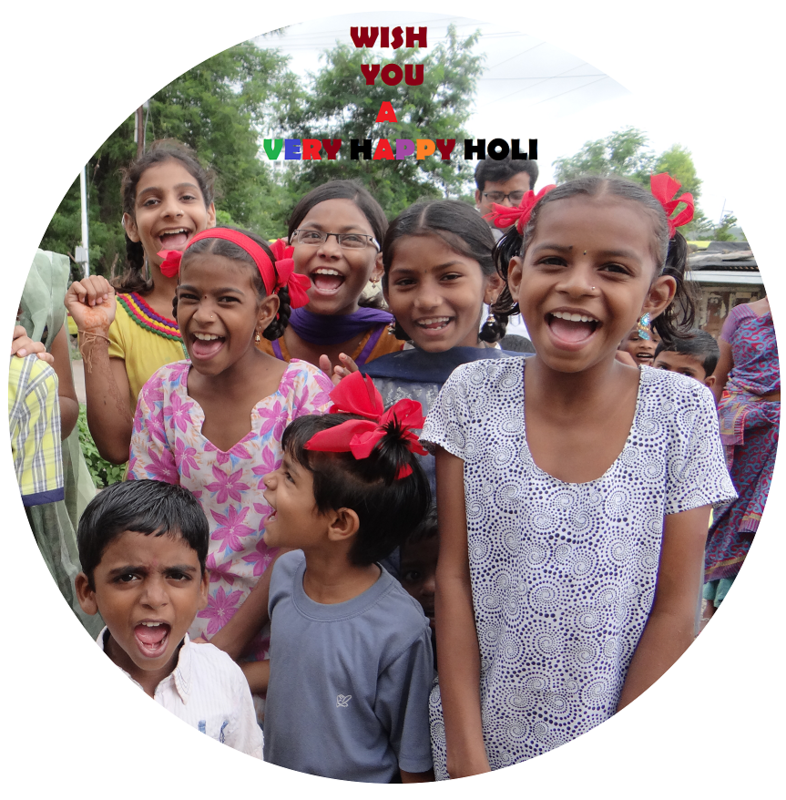 Wish you all a Very Happy Holi ! 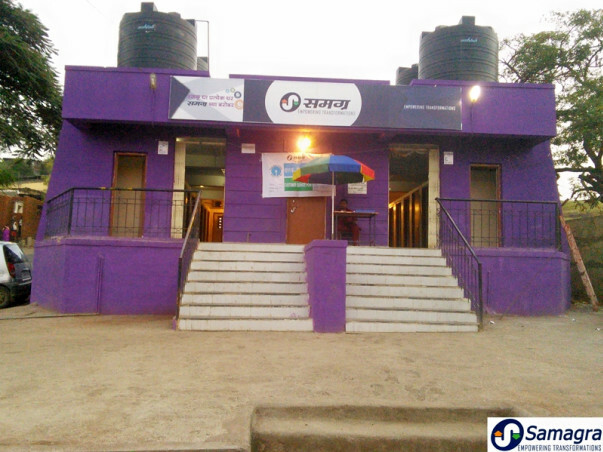 I am excited to announce you that Samagra is currently building awesome toilets in 100 rural schools in Raigad (Maharashtra). As you might know, many rural low-income schools do not have toilets and girls drop out of school because of lack of sanitation facilities. We have taken up this project to use our knowledge and knowledge of our awesome partners (in areas of design, logistics, supply chain, cleaning and construction) to impact lives of over 1500 girls in less than 4 Months.